Directions for use: take 1 capsule with liquid as required. 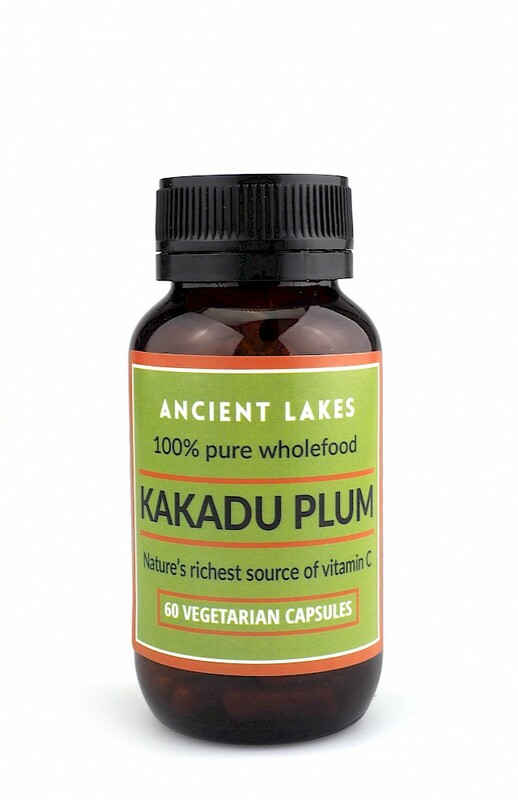 Contains only: Kakadu Plum Powder (Terminalia ferdinandiana), Hypromellose cellulose (vegetarian capsules). 100% wild harvested, organic wholefood Australian Kakadu Plum.